Never be without a way to charge your favorite device! 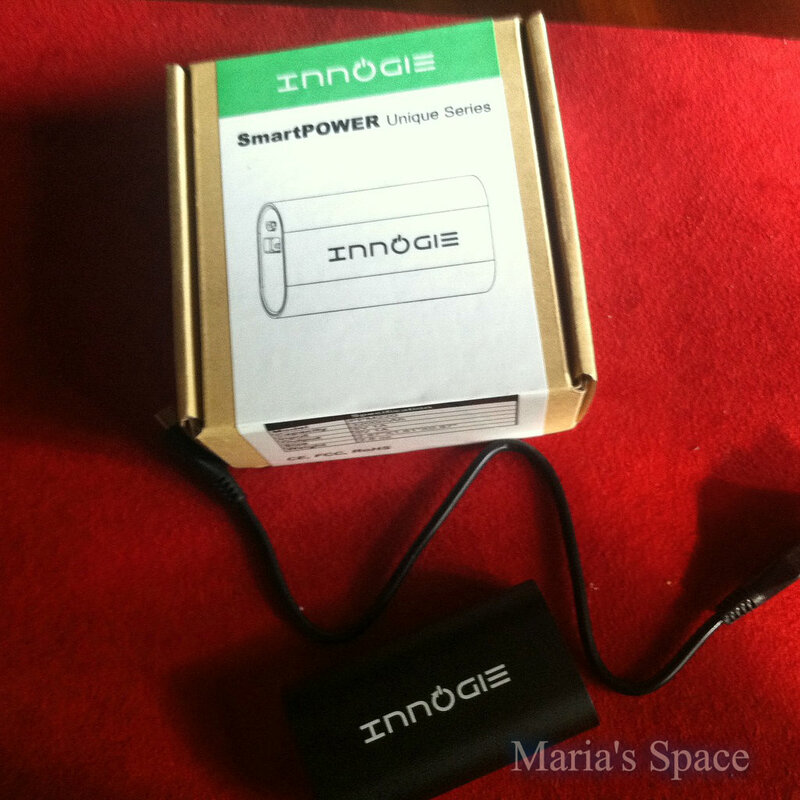 I just received the Innogie® ELite Series Unique 3200mAh Aluminum Portable Charger and cannot be happier. 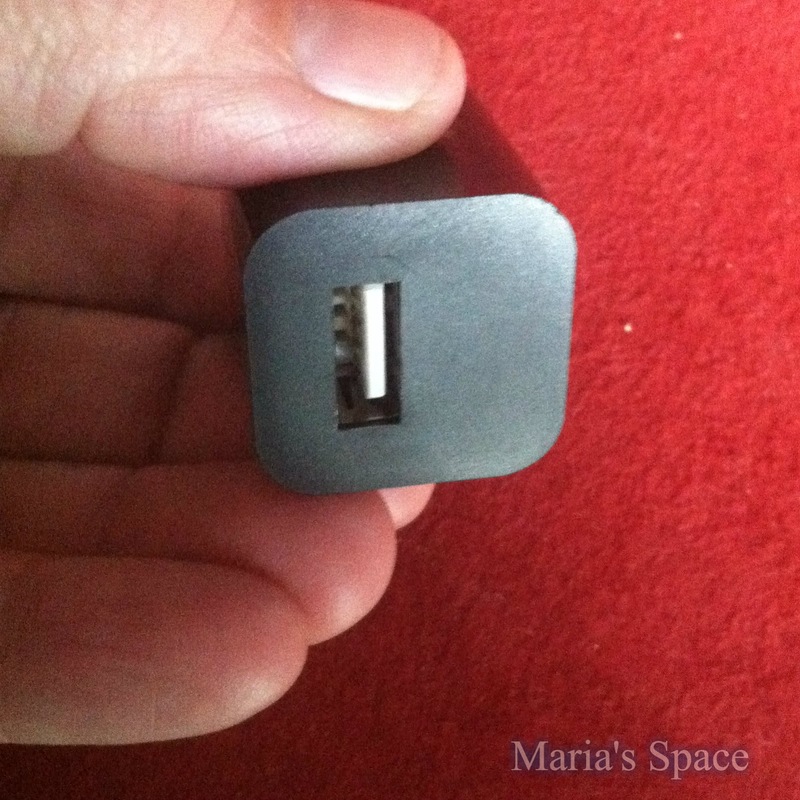 This little device fits in the palm of my 10 year old's hand and holds enough charge to power up a full charge to my iPhone. --Innogie technology maximizes compatibility with Android, Apple and other devices by enabling charge speeds of up to 1 amp. --Add more than a full charge or over 7 hours talk time to an iPhone, almost a full charge to a Galaxy S5 or 1 full charge (70+ hours of audio playback) with most other phones--Stylish, lipstick-shaped, aluminum design (3.5 × 0.9 × 0.9in, 2.7oz) fits easily into any pocket or bag. --Samsung Grade A cells and premium microchips ensure reliability and safety. Charge time: 3-4 hours via AC 0.8 amp adapter (not included). I opened the device and plugged it into an adapter I already had. It does not come with an adapter of it's own but does come with a USB cable that you can plug into your phone's cord charger. All the blue lights on the Innogie are flashing to let you know that it is not yet charged. I let it charge a full 7 hours. When I got home I was down to 20% on my cell and was excited to try it out. I plugged my phone into the Innogie and the lights were a solid blue telling me that the charger was fully charged and my phone was charging. My phone which is an iPhone 4 got a full charge in an hour. 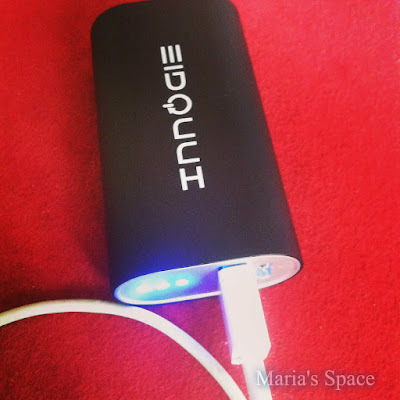 I truly love that I can take it with me wherever I go and always have a charge. No more worrying about a full my phone dying midway through my day trips while out and about with my kids. It is also great to have on hand all charged and ready for those many, many days during storm weather when you have no electricity but need access to information. It's scary watching your phone battery blink red when you are without power. Never again will this be an issue.